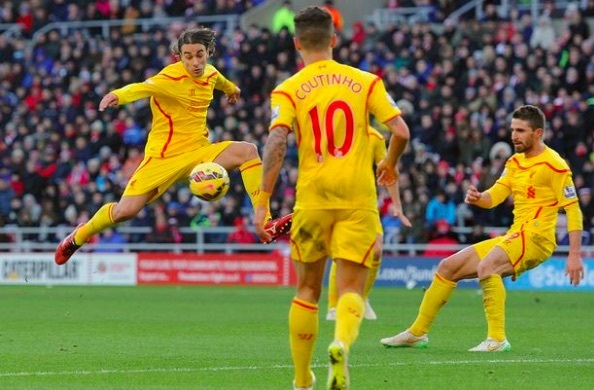 Lazar Markovic has left Liverpool. He has gone! He is no longer owned by the club – and about bloody time. The Serbian arrived in 2014 as one of the most exciting talents in European football, but hasn’t played a minute of first-team football for us since 2015. He’s unarguably one of the biggest transfer flops of all time, sadly. Finding a highlight compilation of Markovic’s time at Liverpool would be impossible, but he did have one game in which he lit it up! Versus Sunderland in 2015, the Serb had a worldy, scoring a goal and almost notching Goal of the Season with this crazy volleyed attempt from outside of the area. Would life have been different if this shot had found the back of the net? !